Home→How To Get Rid Of Fleas→Can Fleas Fly? Many people are asking the same question, can fleas fly? The answer is NO FLEAS CAN’T FLY, they jump. 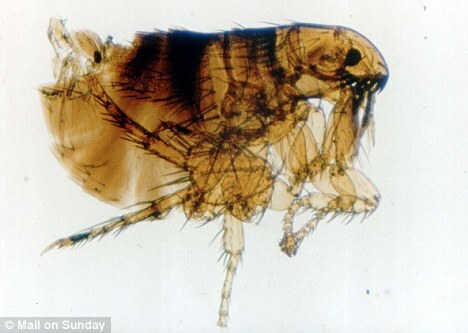 Fleas do not have wings like a fly, they do have 6 legs though, that allow them to jump 100x’s their height! A flea is about 1/16 to 1/8 inches high, this means that when it’s jumping it’s reaching a height of about 7-8 inches. A flea will jump to find food or to get away from anything that can kill it. If your pet has fleas and you’re giving them a bath this is a time to keep an eye out for any fleas coming to the surface, of your pets coat, and trying to jump off. They will do everything possible to survive, and because their size is so small, it’s very easy for them to hide. When you see a single flea jumping off your pet, or from your carpet to your skin or clothing, you can be very sure that the one flea, has flea friends near by. It would be a very good idea to do a flea test on your pet, so you can start taking care of the problem before it becomes an infestation. 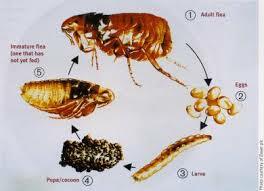 Fleas have 4 stages to their life cycle: Egg – Larva – Pupa – Adult. It is most likely that if you’re seeing an adult flea jumping off your pet, whether they are just laying down for a belly rub or getting a bath, that you have got flea eggs, larva and pupa stages throughout your home as well. Getting all the flea stages out of your home is not impossible and can actually be done very easily. I have information right here for you to follow making this daunting task easier for you to complete in your home and on your pets. Please feel free to browse through the other pages here relating to your animal. 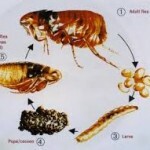 If you have a puppy, kitten, cat or dog I have the information you will need to take care of the fleas. Even if you only have the fleas in your home, I have the information to help your home become flea free! 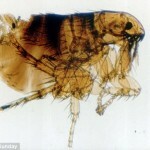 Do fleas have a natural predator?